Have a question about Erectile Dysfunction? All treatments include; doctor services, prescription and medications! – Oral Medication – 16 doses! Set up as a monthly subscription and save $5/month! 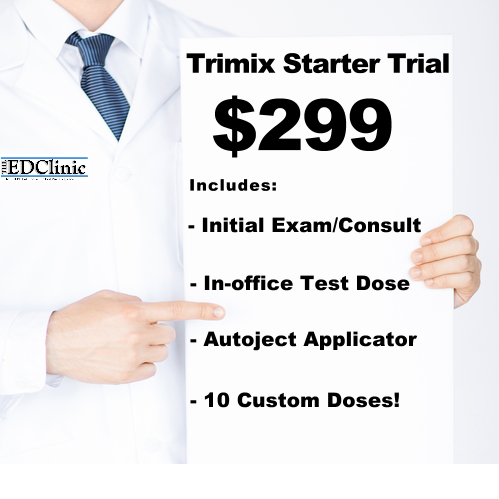 – Trimix Medication – 8 doses! – Two (2) month order RequiredSet up a bi-monthly subscription and save $5/month! – ShippingMust be set up as a monthly subscription – Non-Contractual! Sildenafil in tablet form is known under the trademarked name of Viagra. 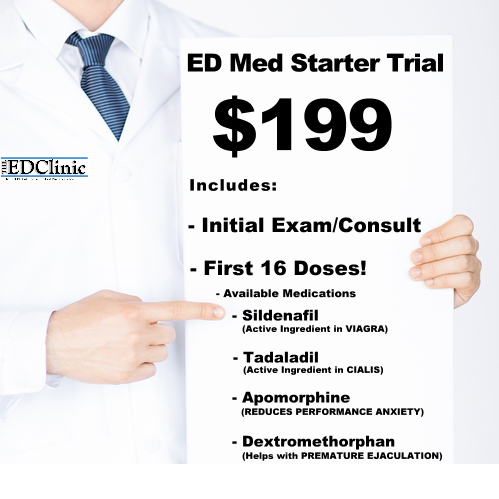 The ED Clinic physicians prescribe the same Tadalafil but have it compounded into sublingual troche form. The troche is taken by placing it under the tongue and keeping it there until fully dissolved and absorbed by the salivary glands. Unlike a tablet that travels via the stomach, the troche goes directly into the blood stream causing a more efficient and effective result. Additionally, there is the option of adding an Apomorphine component. Tadalfil in tablet form is known under the trademarked name of Cialis. 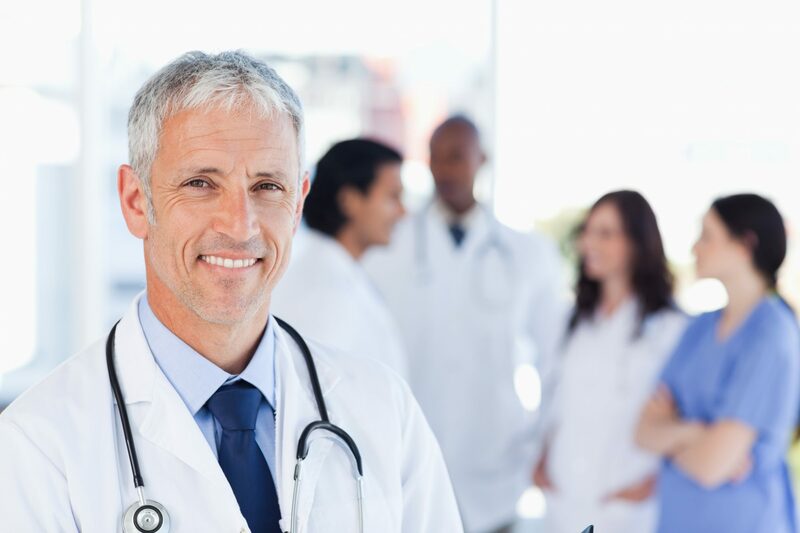 The ED Clinic physicians prescribe the same Tadalafil but have it compounded into sublingual troche form. The troche is taken by placing it under the tongue and keeping it there until fully dissolved and absorbed by the salivary glands. Unlike a tablet that travels via the stomach, the troche goes directly into the blood stream causing a more efficient and effective result. Additionally, there is the option of adding an Apomorphine component. Apomorphine is an oral medication shown to be effective in the treatment of erectile dysfunction. The compound stimulates dopamine receptor sites- mostly D(2) – within the brain known to be involved in sexual function. 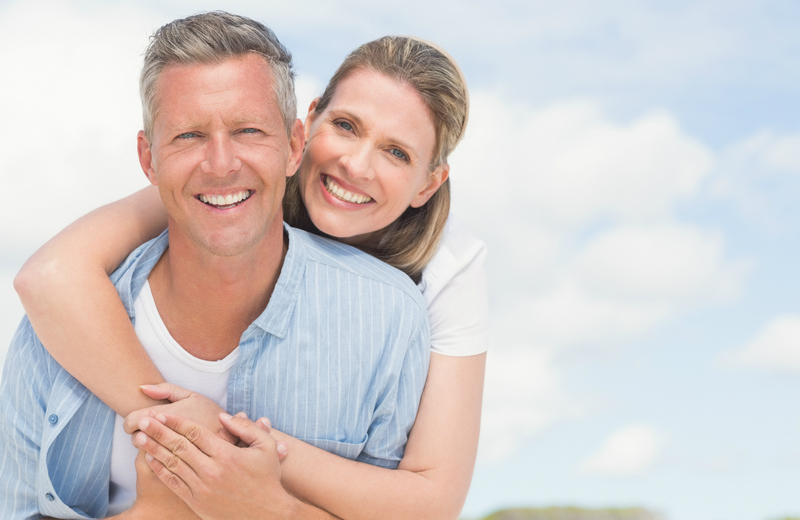 For those that have been disappointed with only Sildenafil or Tadalafil, the combination of either along with Apomorphine can be an effective one-two punch addressing from both the physical and mental aspects of erections.